As the festive monkey's belly says, "Let's get crazy"! Yes, Palmer chocolate is not really chocolate but instead a "milky and chocolaty candy." That's problematic and the taste is never going to rival some of your basic chocolates like Hershey's or Dove. 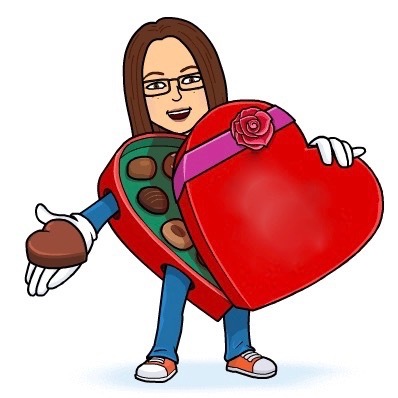 However, as long as you don't expect real chocolate, it is tasty. 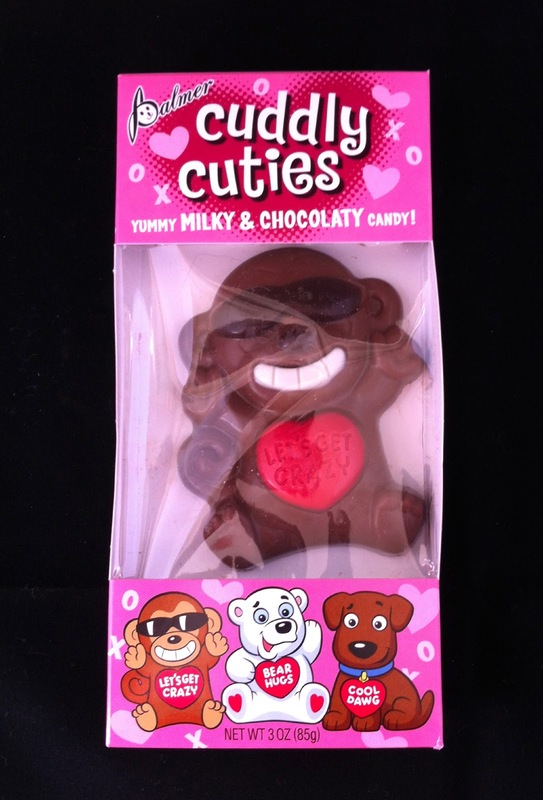 It melts a little less nicely in your mouth and lacks the depth of flavor of real chocolate. However, I don't think Cuddly Cuties are as much about taste as about creating a whimsical candy animal. In that arena, Palmer has it just right. 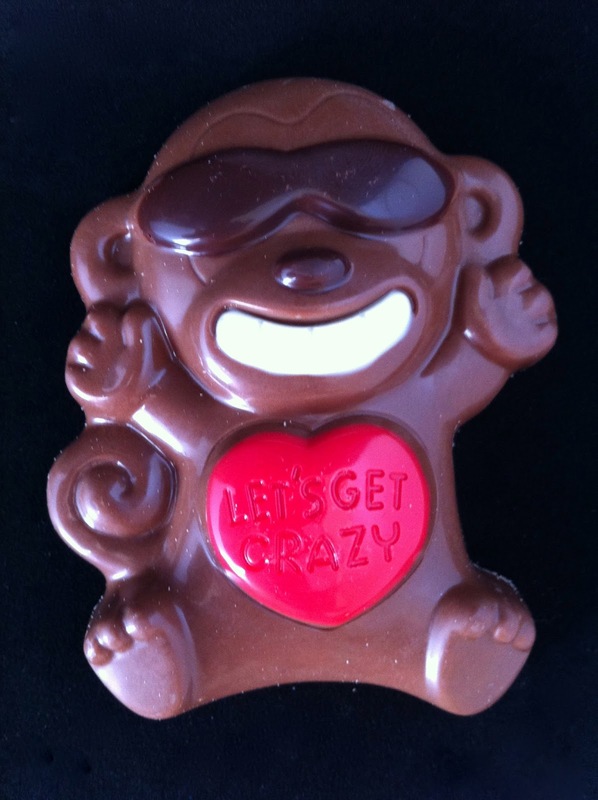 This monkey is ideal for the Valentine's holiday and although I didn't eat the entire thing, it sure made me smile!